Are You Living In Christ Or Living The Herd Mentality – I Am Not Ashamed Of The Gospel Of Christ! 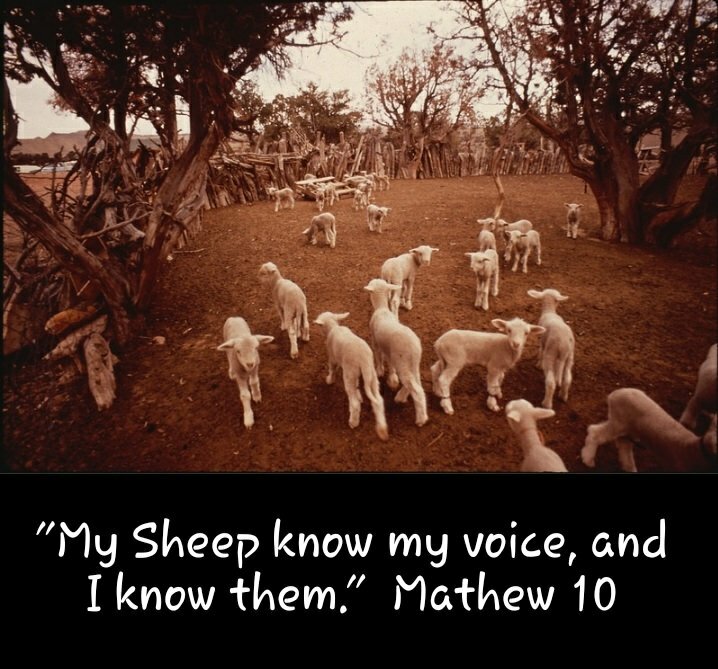 Why do you suppose Jesus refers to His church as sheep? 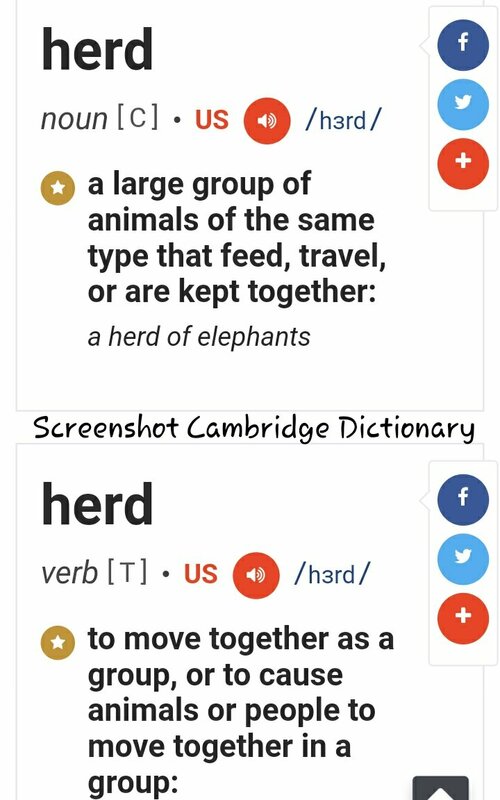 A “herd” is described or defined as a group of like animals who move together, feed together and live together. It has also been expanded to take in like minded people. Jesus said repeatedly that His sheep know His name, He told Peter that while Satan had asked to sift his soul, but, when he returned he was to feed His flock. Jesus also warned that in the end He would separate the sheep from the goats, He also warned of shepherds who would lead His flock astray. There is significance here. A great significance, as the false shepard only comes to steal. Many such shepards have come into the world since Christ. Erroneous doctrine has thrived throughout history. Even today we see this, Muhamadism is the largest we see today. But thats another post. We see chaos, lawlessness and hatred growing like a raging wildfire. Why? Because of the herd mentality. Or mob mentality. There is sage advice many of us heard growing up like “Give people enough rope and they will hang themselves” or “If others jump off a bridge does that mean you should too? “This was our parents way of saying just because so many are following a certain way doesn’t make it right. Scripture tells of such a way of thinking,in fact it says work to those who call evil good,and good evil (Isaiah 5:20-24). We see more and more in our generation the way of sin is being represented as right,and for those who do live a righteous life are ridiculed and scorned. Many live without a conscience for the Lord’s way and follow the crowd, but when all is said and done each of us will one day stand before the judgment seat of Christ (2 Corinthians 5:10,11). May we stand back and consider our ways whether we are following the wrong crowd,or will one day hear the blessed words “Well done thou good and faithful servant! People have divided across the globe into religious and secular groups. The largest are Conservative vs. Liberal. Those who set morals and faith above those who are willing to discard these traditional values or morals. The dividing line is set. Hatred of all things conservative are burned in a raging bon fire under a deceiptful banner of freedom of speech. Squashing every opinion or value that does not conform to the world. Whole churches have been swallowed up and consumed. Following all false and non-biblical doctrine set by God. Just look at the degradation of marriage, family, gender, and sexual misconduct emerging today. Everyone even in our small communities are following after the herd in disturbing ways. The herd mentality is in the Bible, one early reference to it is in Exodus 32. The Israelites had just seen miracles beyond miracles as God delivered them from Egypt. Yet while Moses was receiving instruction from God they grew weary and starting with only a few, thousands followed them into judgement by demanding an idol to worship for they needed a god. We can see that mentality today. The Bible records what happened to this herd. The Bible gives example after example of this. And yet the Herd/mob mentality thrives. Can we not think for ourselves? Can we not know through Faith that Christ is our only Shepard? Do we have that little faith? Will we follow the thieving false shepards as a crazy mob? Will we be as goats who run wild or will we stay close to our shepard as sheep? Will we be as lemmings who follow their leader off a cliff or will we rest in the bosom of Gods truth and the doctrine of Christ? The choice is yours, but choose wisely as time grows shorter by the day. Follow the Holy Spirit for He guides us into all truth. We wouldn’t have the freedoms to choose today if Luther and others had not challenged the authority of men or shepards to lead astray by keeping the word of God hidden from the people trusting only in a man to interpret. Thats a simple statement of the reformation but sometimes simple explanations are the best. Follow Christ, put on the whole armor of God and take a stand, because your eternity depends on it. Even the chaos and lawlessness today in the simplest way is causing the herd to move toward judgement. So I agree with this evangelist, if you profess to be saved, if you profess to be Christian, but you exhibit behaviors listed above just to be a part of the herd, you are not living in reality. Again, choose wisely.